The Digital Revolution is reshaping our societies and the pace of change is set to accelerate even further. The world of work in particular is increasingly transformed by new technologies and continuous innovation. This exemplifies a crucial point: the Digital Revolution is not primarily a technological but an economic and social issue. 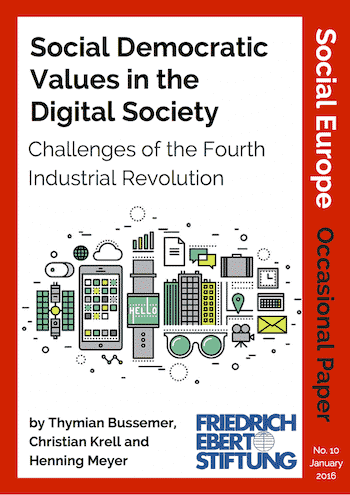 The crucial question then is: what should a Digital Society based on social democratic values look like? This paper analyses the key conflicts and provides policy guidance for decision-makers. Thymian Bussemer works in the Divison Grundsatzfragen of the Human Resources Executive Department of Volkswagen. Christian Krell is the Director of the FES Nordic Office in Stockholm. 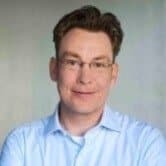 Henning Meyer is a Research Associate the the London School of Economics and Political Science (LSE) and Editor-in-Chief of Social Europe.